Successfully Added Underwater Diving Camera - 5MP CMOS Sensor, HD Video, 30M Waterproof, Detachable Camera, LCD Display, 600mAh Battery to your Shopping Cart. 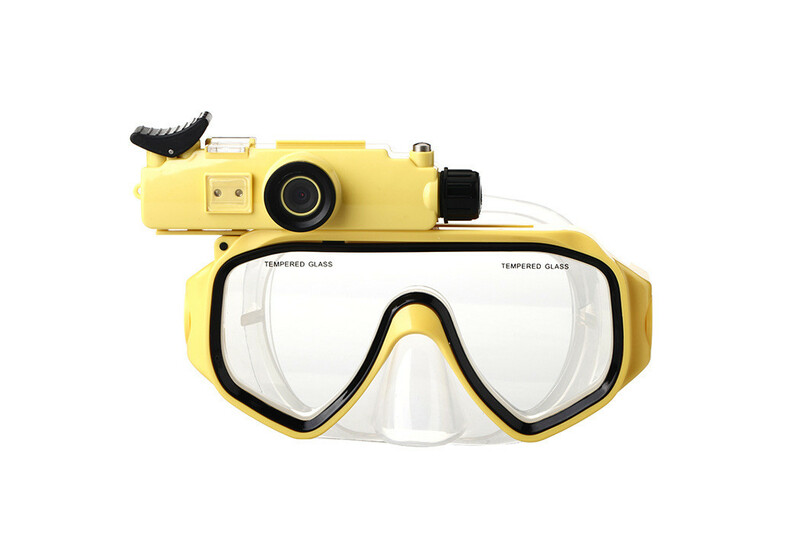 Shoot breathtaking underwater video and pictures during upcoming diving adventures with this underwater diving camera mask. With its fully waterproof design, this underwater camera can be used in depths up to 30 meters. Whether you simply use it in the pool or while scuba diving out in the ocean - this underwater camera is guaranteed to treat you to stunning footage. With its 1/2.5-Inch 5MP CMOS sensor, this cool electronic gadget delivers crisp HD video in 720p. Thanks to this, you can be guaranteed it captures all the beauty nature has to offer in stunning detail and vivid color. With its 32GB SD card slot, this underwater camera mask offers plenty of storage for you to keep all your pictures and recordings shot under water. 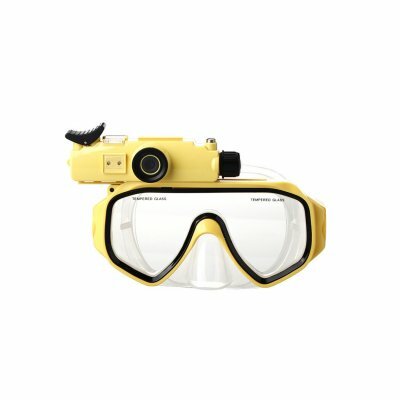 The camera of this underwater camera mask can be separated from the mask itself for individual usage. Thanks to this, you’ll be able to use it as a regular camera for shooting both underwater and on land. On its LCD display, this HD camera allows you to instantly watch back previous recordings. This means that you’ll always end up with the best quality footage of all your upcoming outdoor adventures. Equipped with a powerful 600mAh battery, this action camera treats you to hours’ worth of usage time. Whether you’re scuba diving or enjoying an adventure on land, this HD camera is sure to treat you to the best quality footage at all times. This action camera comes with a 12 months warranty, brought to you by the leader in electronic devices as well as wholesale sport cameras..